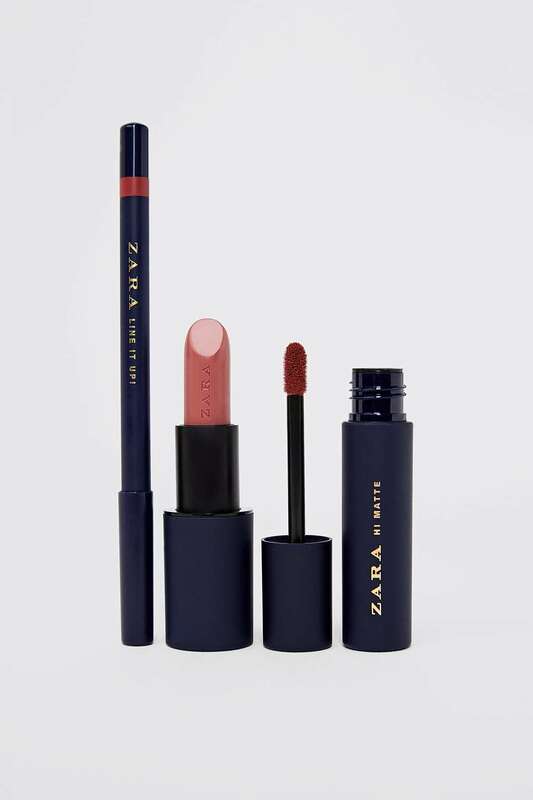 Limited edition lip kit, including products from the ZARA WOMAN Winter ’18 campaign shoot. Includes: ULTIMATTE LIPSTICK in UM01: Velvety-matte lipstick in beige-pink featuring a highly pigmented formula. It’s light, comfortable, and offers an amazing color pay-off. HI MATTE M14: Ultra-matte liquid lipstick, with intense pigments, enriched with argan oil and vitamin E for a comfortable, long-lasting finish. LINE IT UP! L02: Creamy beige-pink lipstick that glides on for an easy application and a smooth finish.